Nokia used to build sturdy phones, but not anymore. Im facing an issue with nokia 6.1 plus usb c charging port. Its lose and doesnt charge after connecting. Nokia used to build sturdy phones, but not anymore. Im facing an issue with nokia 6.1 plus usb c charging port. Its lose and doesnt charge after connecting. I was sure that i could get this done free under waranty. My phone was examined and I was told that it is a liquid damage(with some green spot). If a careful user like me faces such an issue, i wonder how this phone is a nokia phone which once produced 8110 and 3310. I was told to pay as although the loose charging port is a manufacturing defect, the so called liquid damage is what makes the damage and not the lose charging port. It is irritating to adjust the phone at a certain angle, wasting 5-10 mins. And when you pick it up after a while, it doesnt charge, instead gets discharged. If at all the nokia cnokia community is strong. I hope this discussion is upvoted and also nokia gives an appropriate reason and a solution. I can completely understand the situation. It has been seen well enough on the community and elsewhere that the USB-C connector on the Nokia 6.1 Plus is indeed faulty, probably due to poor component supplier (I wonder why they aren't sacked even after repetitive complaints) or due to a design flay (this cannot be fixed permanently and will continue to happen). Several have reported here too that their phones have been denied warranty due to moisture flags being blown. This when the phone never touched a drop of water. We all know the fact that the moisture indicators are easy to blow if you live in a slightly wet climate or even otherwise too, especially during rainy seasons. And them denying warranty coverage for a component which has been reported as faulty constantly is annoying and very disappointing for a Nokia enthusiast like myself. I've said in other threads and will add here again if somebody at Nokia wanna take note - Please allow free replacement of USB connector without checking for anything else. A broken back glass or the display should not void the manufacturer's warranty on all of the components either. It doesn't cost too much anyways. You know that it is faulty by design and you know moisture did not do anything to it. Please be fair and honest. Do not break the trust of Nokia buyers. They invested money into your products based on the trust and past experiences. They will stop doing it if you do not keep them satisifed and then nothing can save a sinking ship. Moving on. Vaibhav, I do not think this forum will be able to help you any further. I would recommend that you exercise your rights under the Consumer Protection Act and take action. However, given our legal systems, probably paying for a one-off repair is going to be a more comfortable option. I'd recommend the former though so that the company gets some attention on the seriousness of the matter. A. When the Product is used in a way that is different from its ordinary use, such as: a) errors or damages caused by: i) exposure to damage resulting from liquid outside of the approved levels, to extreme electromagnetic field (such as damages caused by microwave oven), to dampness, to extreme thermal or environmental conditions or to rapid changes in such conditions, corrosion, oxidation, spillage of food or liquid, or to influence from chemical products,.................................................."
1. Warranty covers damages, provided, phone has been used in its ordinary use and not mishandled. 2. Damage from liquid will be covered, provided, the resulting damage is from liquid outside and which is beyond the approved levels. Since, my phone has never came into contact with any liquid so it must not be having a damage that is to be considered under " damage is from liquid outside and which is beyond the approved levels". I accept that if technician is saying phone has got liquid damage then it may be true but, as I have already mentioned several times that I cannot accept that, the said liquid has gone from outside and it is beyond the approved levels, since It is being used by me and there is no such incident. As per the above my phone is covered under warranty as per the terms and conditions, and thus I will not bear any expense and I want a new phone since it is just 30 days old phone and has been detected with mother board damage issue, whose repair is not considered durable. I have read numerous complaints similar to mine on Amazon, flipkart, Nokia community. Nokia service centre has been blatantly denying citing liquid damage showing some green dots. All people could not speak lie, its manufacturing fault in nokia phones. Nokia is damaging it's brand for such small issues. Please don't play with our hard earned money, I will not tolerate and will take this issue to the highest as i have many proofs and people along with me, everytime I visit service center, I found everytime 1-2 customers facing same issue. Service center people are denying warranty citing liquid damage, or a minute broken back cover, we should unite together and fight against this, is somebody knows process of starting a consumer court case. 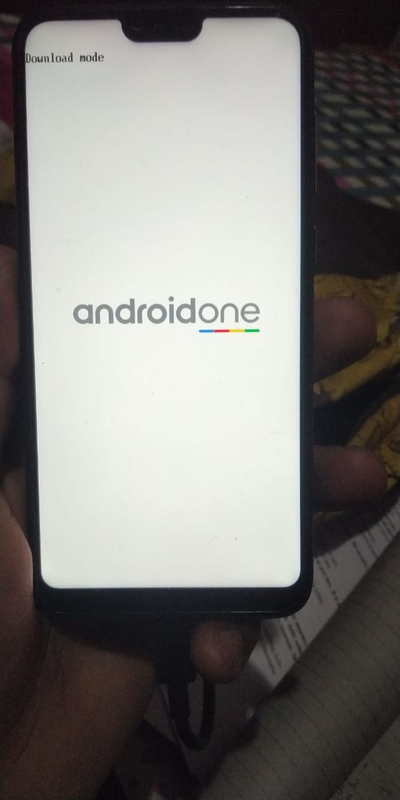 Phone got stuck in android one, download mode. This is download mode and the phone should be communicating in this mode via fastboot. You can try to unlock the bootloader and then flash the stock ROM.